Dress to Impress to Work in the Kingdom | don't bite the apple…work is not a fairy tale! Once Upon a Time, I was screaming at the news… It’s hard not to in this political season, but politics didn’t make me furious yesterday. I was watching a news report regarding someone who was refused a job interview. The disappointing part was how the interview was spun. In case you haven’t picked up by now, I am an HR professional, we hire people sometimes. We have been in a recession and lots of people are out of work. If you want a job, you have to put your very best foot forward. Now more than ever! When I applied for a job at Al’s Beef in High School, I wore a skirt. You dressed up for interviews. It was how you showed you were well-groomed, respectful and eager to please your new boss. You dressed for the job above the job you were applying for. If you applied at McDonalds you would dress up. I really don’t know when people decided that wasn’t necessary. Maybe it started with casual Fridays. It really should stop. Talk to any recruiter and they will tell you stories of how people come in their office for jobs. Flip Flops, jeans, short shorts are the new dress for success. It’s really the dress for how not to get a job and complain that there is nothing out there. This news story was about a man who applied for a job at a city bus service. He passed his written test and was going in for an interview. He chose to go to his interview in pressed jeans. The company sign said “Dress to Impress”, the man said he was not clear as what that meant. I think unless you were raised under a rock, you know that means dress up for an interview. I understand times are tough, but you can find a pair of Dockers and a dress shirt for about $10 at the Goodwill if you needed it. When refused an interview in jeans and told to come better dressed and reschedule, he became agitated with the person turning him away. “I kept my calm. I never raised my voice. I spoke to the man four times and told him that I was in shock and reminded him that it wasn’t personal, that I wasn’t mad at him but that I was astounded at the turn of events.” He shouldn’t have been mad at anyone but himself and taken the opportunity to reschedule and start over. In this economy, nothing is academic. You may have great qualifications, this man may have too. But, I guarantee you that somewhere in that stack of applications there was another bi-lingual, experienced CDL Driver with a clean record. A job interview’s purpose is to meet in person, to measure experience with personality, attitude and ability to think under pressure by answering questions. An applicant may be stellar on paper and get in an interview and aren’t able to communicate or have a bad attitude. Here is my common sense translation to that man coming to an interview. He didn’t care enough to dress up, he was rude when asked to come back and thought he should just be given the job. I would assume if hired he would never do anything beyond his position; he wouldn’t take responsibility for his actions and would not handle the public well. I wouldn’t hire him. I was bothered that the reporter chose to spin this person as the victim, but so encouraged that the comments were putting the responsibility on him. Employers do not owe you a job. If you would like to be hired it is YOUR responsibility to sell yourself to them. It’s an opportunity to shine and put your very best in front of a potential employer. That should always include coming in “Dressed to Impress”. What does that mean? If you can’t figure that out, I’m not hiring you and neither is anyone else! What was the best and worst interview question you were ever asked? 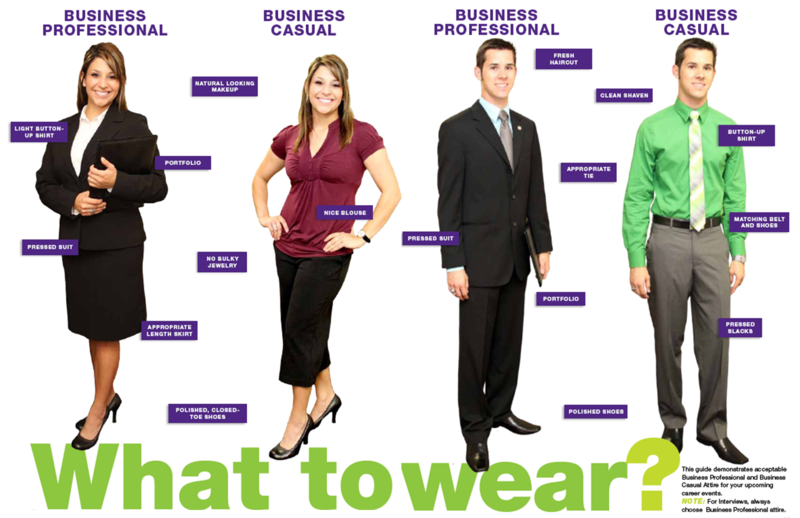 Here is a link with tips on what to wear for an interview from Tarleton State University. This entry was posted in Employees and tagged Business, dress code, Dress shirt, Employment, human resources, Interview, Job interview, Job Search, recruiting. Bookmark the permalink.